I'm a fan of Lovefilm. I've been a subscriber for many years (since 2004) and have persuaded quite a few friends to sign up after hearing me extol the virtues of the service. I am what you might call a Lovefilm advocate, someone who likes the service so much that I want others to try it too. But it seems to me that Lovefilm is missing a trick or two, so here's some thoughts on what it could do better, for me. Firstly, Lovefilm knows me and my family's viewing habits and predilections intimately. It knows every film we have ever rented (approaching 500 now), every film we have rated, every film we want to watch in the future. It basically knows more about our views on films than we do ourselves. Why then, when I visit Lovefilm.com, does it constantly suggest a whole bunch of films that it knows I have no interest in whatsoever? Why does it recommend films on it's homepage that I have in fact already watched? Why does it still offer me games when we have never rented a game? Basically Lovefilm needs to get its recommendation engine tuned up, so that it offers me truly personal recommendations based on the information it already has about me. I want recommendations from people I know and especially people I trust to have good judgement on films, be that a professional film critic or a friend. Lovefilm should be a totally personal service, helping me filter the huge number of films available to watch, old and new, and quickly get me to what I'll most likely want to watch. I really shouldn't have to scroll through a long list of new releases every few weeks to find something I want to add to my wish list. Secondly, online streaming. Clearly, the future for home consumption of films is less about DVDs through the post and more about streaming to a connected device, whether that is a big screen (TV) or a smaller one (smartphone, tablet), but right now that feels like an after-thought for Lovefilm. The catalogue available to stream feels pretty thin (about 6000 items), and the whole emphasis of the site is still aimed at DVD rental. Now, I'm sure the usage figures mean that physical product still has to remain the top priority to keep the majority of users happy, but they need to start making the online viewing offer more attractive. For example, right now they don't offer an online-only package; the cheapest unlimited online viewing package comes in at a hefty £10 per month and includes a DVD allowance. Shouldn't they be offering a low-cost online viewing package to tempt me to move from DVD to online viewing? Of course, I'm not going to do that until the catalogue is deep enough, but the right subscription will still be needed. Thirdly, mobile. OK, I'm sure the good folks at Lovefilm are working on this, but shouldn't I get a great experience on my smartphone as well as via snail mail DVDs? The iPhone app lets me manage my account, to add or remove films from my wish list and see new releases. But I can't watch anything on it, and if you browse to Lovefilm.com you get the desktop site which is unusable. Really unusable. Why no mobile browser site? I'd be quite happy to watch some content, particularly TV episodes as opposed to full length films, on a smartphone or tablet. Lastly, Lovefilm social. Yes there are Facebook pages and Twitter accounts and YouTube channels, but none of it is personal to me. If I want to engage with a service like Lovefilm in my social spaces, it really has to be personalised to me, not promo or marketing material pumped into my streams. I'd be happy to be alerted to content that Lovefilm knows I'll be interested in, but that means applying that personalised recommendation engine to social updates. As I said at the start, I'm a Lovefilm fan. But if Blinkbox or Netflix (if they launch in the UK) offer me a better, more personalised service, I'll transfer my allegiances. Which would be a pity. I'm not a Lovefilm subscriber, but if they opened up their streaming options substantially, akin to what I know Netflix in the US offers, then I'd sign up promptly (and Sky would lose some cash). It really does feel like they've dropped the ball with regards to their streaming offering. It saves them loads of money too, persuading people to stream rather than pricey postage costs. Ironically, I'm all set up to go with my connected devices. 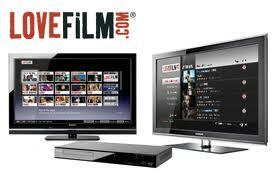 Lovefilm is built into Sony TVs and Bluray players amongst others. But the range just isn't there. Now that Amazon fully own the business, perhaps they'll get their act together. Indeed Amazon is in an amazingly powerful position in its ability to push the service. But I wonder if they've got their eyes on too many other things like the Kindle? They also own Audible, but that's another business which still needs some work doing to make it a better user experience. It's not too late for another provider to get into the UK, with Netflix being the likeliest. Blockbuster is also there, although you wonder if they're long for this world. streaming does not necessarily mean lower costs for lovefilm. Digitizing, storage and huge bandwidth do not come particularly cheaply. I received an Amazon kindle for xmas and have been surprised to find that ebook costs are not lower than physical copies (yet) for the same reasons. There's something of a chicken and egg scenario here too. Economies of scale for streaming and savings on postage and warehouses, packers etc only show themselves once everyone switches to streams. Also Amazon is rumoured to be adding movie rentals to the next-gen android based Kindle. 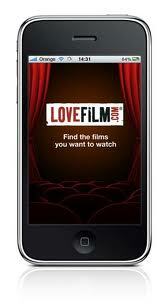 How lovefilm's streaming offer will compete will be interesting to see. You're right about the chicken and egg scenario James, and at the moment lovefilm clearly want (and need) to move to streaming, but i'm guessing that the majority of their subscribers are not there yet in terms of viewing full length films via an internet stream, so they have to offer both which as you say is not cheap. Is there a parallel to DAB/FM here? !